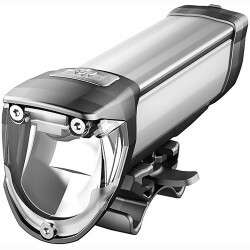 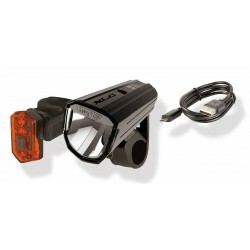 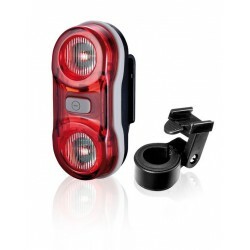 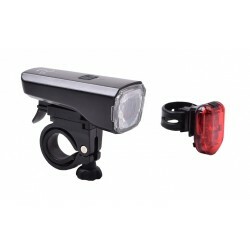 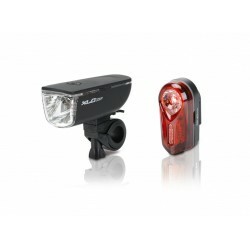 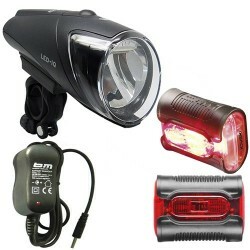 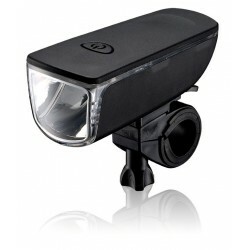 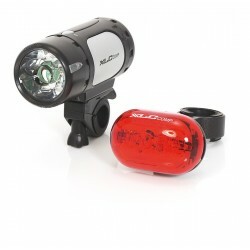 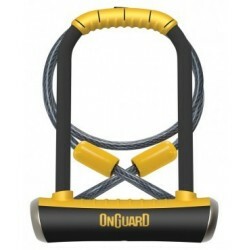 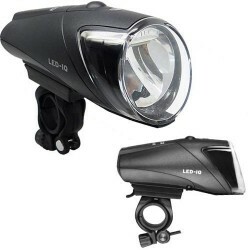 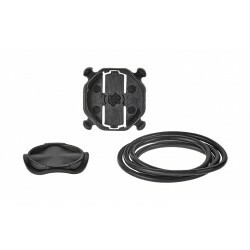 Lighting set is StVZO (road traffic regulations) approved, consists of CUBE front light PRO 18 and CUBE rear light PRO. 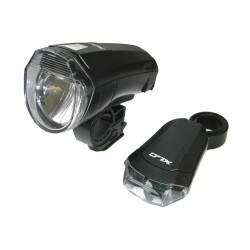 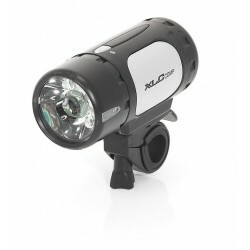 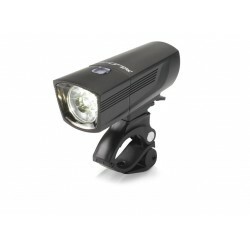 PRO 18 with 18 lux and two AA-batteries. 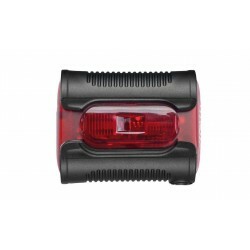 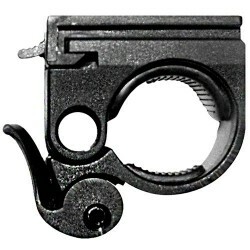 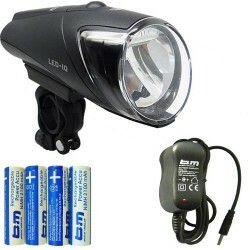 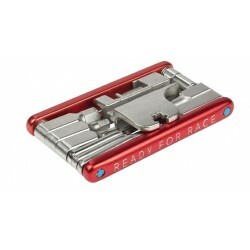 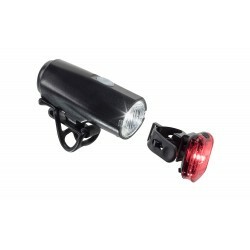 Rear light PRO with two AA-batteries.